Art of Range Hoods’ standard Camellia Range Hoods are completely customizable to fit any kitchen space and design aesthetic. 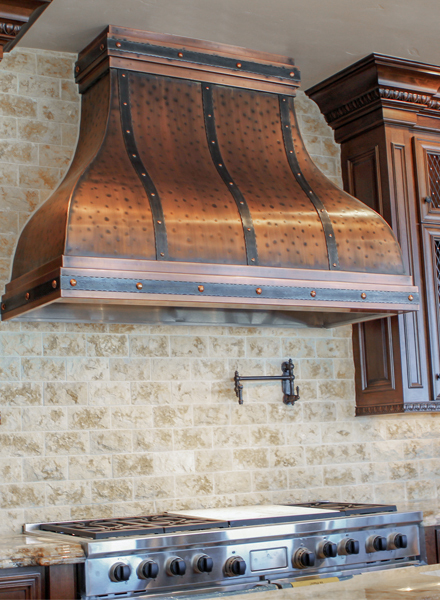 This Copper Range Hood style ranges in size from 30″, 36″ all the way up to 72″ for your convenience. 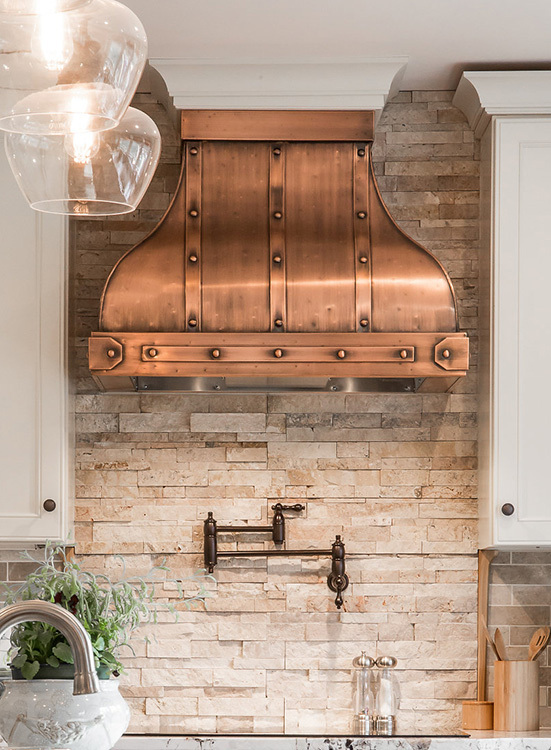 The standard Camellia Range Hoods offer straps in several styles including copper, stainless and iron. Secondly, choose between three stunning lacquered patina colors, all naturally finished, in lightly antiqued, medium aged and dark brown. All of these options are available through our website by clicking the “add to cart” button above. Here, you will be able to select your Camellia Range Hoods size, patina color, texture, lacquer finish and strap work. If you would like to discuss further custom made range hood options, feel free to give us a call at 360-891-6540. 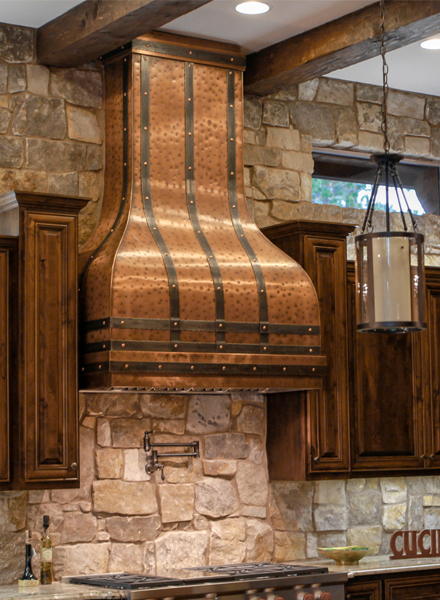 We are happy to go over additional options and help you put together your perfect range hood!